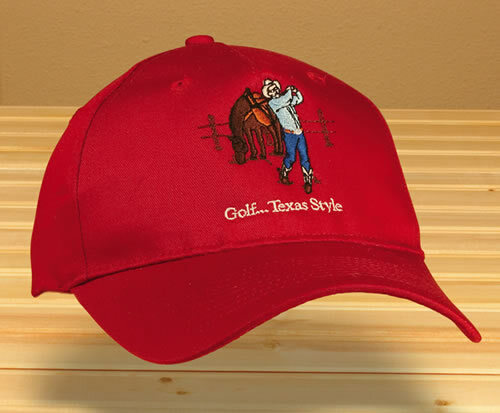 A Texas Golfer"s Cap with Style. Five-Panel Twill Cap 100% Cotton Twill, Structured, Mid Profile, Self-fabric overlapping Velcro closure, stitched eyelets and a fashion-curved bill. Golf Texas Style "Long Iron"
Buy these caps and see more at Greenwood Art Studio's Texas Gifts and Texas Art.